“Until the Stars Came Out”: Swinging lowly like a cradle in an old prairie home. Rocking sweetly, this sweet song echos of the lonely rural skies or an empty small town bar (in the quaint sort of way). “I Awoke”: Take the train passed country towns through the mountains to the bustle of the city. The snare beats like the pace of a train chugging along the open tracks. “Pretty Little Self”: Mexican rhythmic undertones that carry this song through an old West saloon with the beautiful women. “Left Coast Sunshine”: Take your skates and roll down the boardwalk with this gem. The 70s soul vibe breaks up the set, sharing Jesse and the Dime Novels’ diverse talents. “The Rarest Form”: Beautiful ballad giving room for the slide guitar to sing alongside Jesse’s heartfelt lyrics. “Clinched Broken Hearts on the Floor”: Jesse unwavering vocals, the tinkling ivories and a solid beat round out this distinctly country song. “Eleven Eleven”: I won’t be able to get this song out of my head, which is both a positive and pitfall. Unfortunately, after a few listens I only have the title lyric “Eleven Eleven” looping around up there. Overall: Even if you don’t particularly like country, Jesse LaMonaca and the Dime Novels brings a little something for everyone. 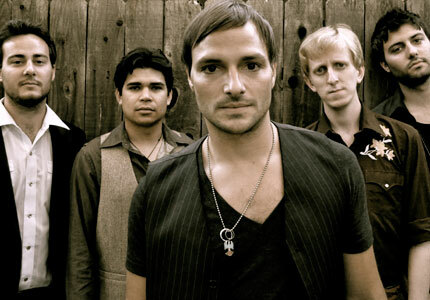 The band’s ability to compliment the vocal gift endowed in Jesse while offering an array of melodies beyond one genre, poises this group for success. Live, this band may offer an energetic and earnest performance, but the recorded expression hits you deep down, forcing you to really grasp the meaning of each lyric and note. Albums: Until the Stars Come Out (2010) contains only the above 7 songs and is available for purchase at iTunes. “Clinched Broken Hearts on the Floor” and “Left Coast Sunshine”are both available to download for free in the Media section of the band’s website. thank you for listening and for the kind words!!!!! !